Item # 159894 Stash Points: 47,999 (?) This is the number of points you get in The Zumiez Stash for purchasing this item. Stash points are redeemable for exclusive rewards only available to Zumiez Stash members. To redeem your points check out the rewards catalog on thestash.zumiez.com. 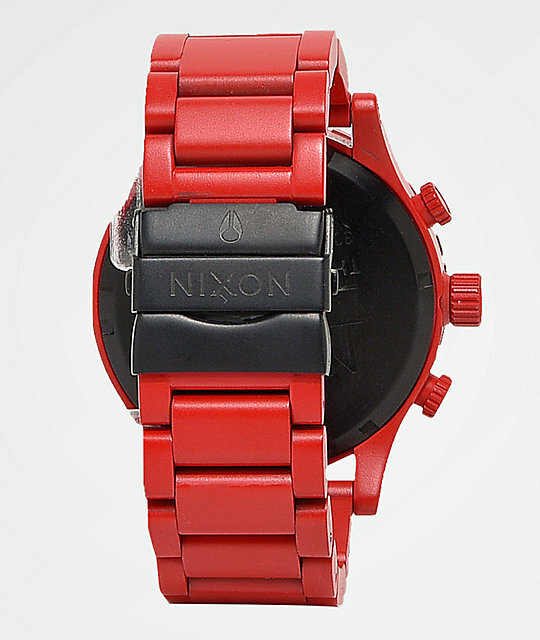 A bold statement piece becomes functional with the 51-30 all red chronograph watch from Nixon. 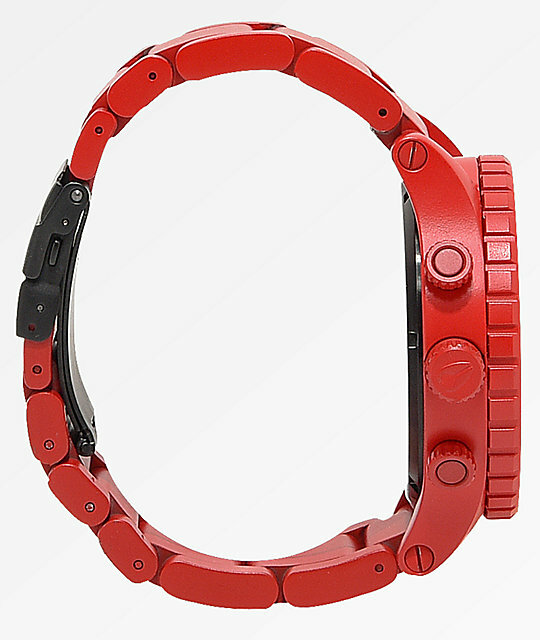 A show-stopping red colorway takes over the bezel, band, face, indices and even hands. This Nixon watch is equipped with the typical 51-30 features and functions inlcluding a 300m water resistance rating, textured subdials and custom molded hands and durable stainless stell construction. Whether you want to make a bold statement while dressed in all black or add to your existing colorful wardrobe, this watch will single handedly represent your astute fasion sense perfectly. 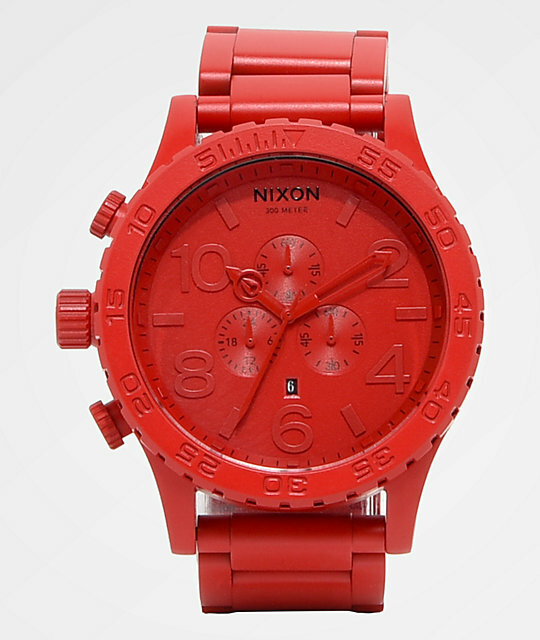 51-30 All Red Chronograph Watch from Nixon. 3 hand and Miyota Japanese quartz chronograph with date. Crown and pusher placement at 9 o'clock. Concave dial ring with bold printed indices and a printed seconds track. CD textured subdials and custom molded hand with luminous fill. 51mm custom stainless steel case. 300 meter/ 30 ATM water resistance. Stainless steel unidirectional rotating bezel with countdown timer. Stainless steel screw down caseback and screw pin lugs. 25mm custom stainless steel 3 link bracelets with double locking clasp and micro adjust. Includes extra links for a customized fit.